This design is available for purchase from Rachele Carmona's Ravlery page. Remember to purchase the pattern by following the link provided on this page, as it will not be shipped with the yarn. Taken from Ravelry - "Happy Little Tree is a blanket from my Relaxghan Series - 6 free blankets designed with peace in mind. 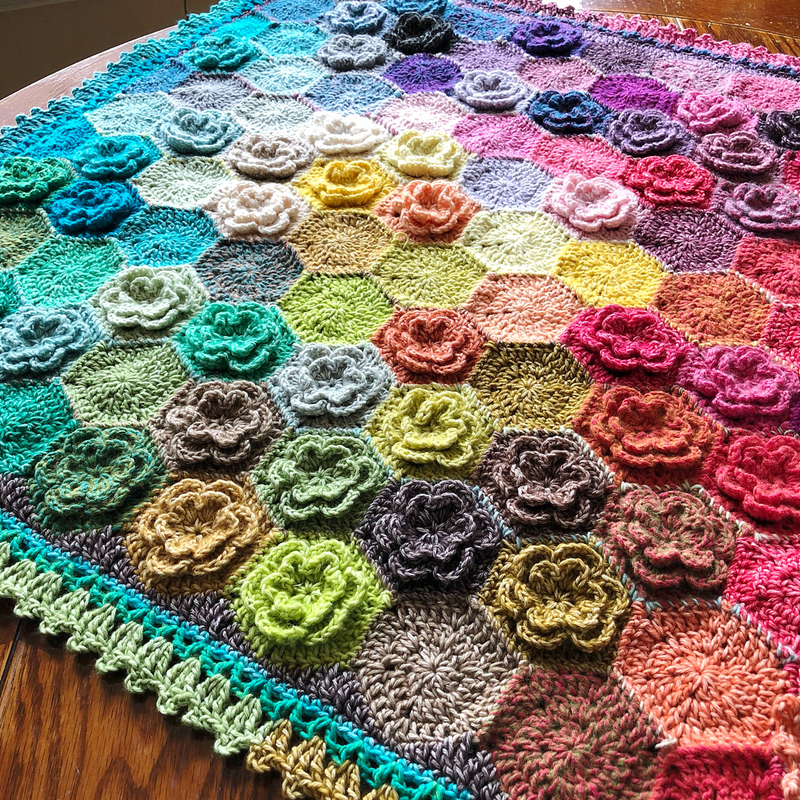 It is the perfect embodiment of the type of blanket that I love to design. 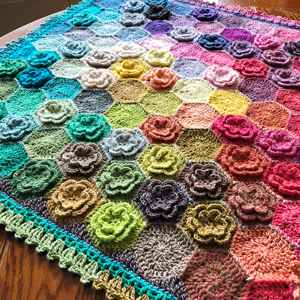 Elegant rose hexagons get cozy with plain jane hexagons, only to be set off by a gorgeous lace border. Heavenly! Size H (US 8, 5.00mm) crochet hook is required but not included. 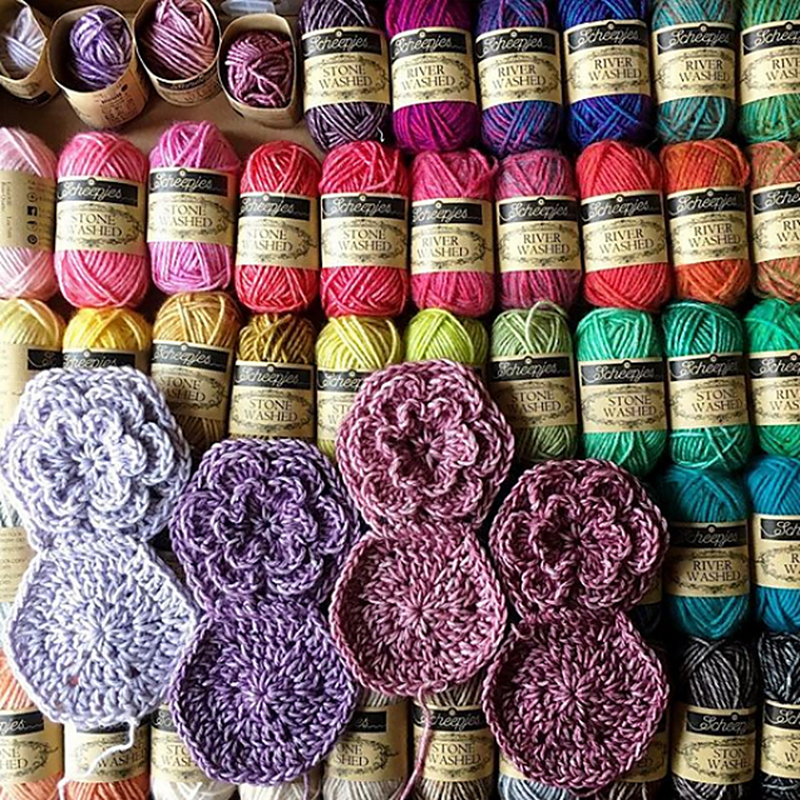 $99.98 -- Kit price including yarn only (no book or pattern).